∙ The person who has everything! What’s more, a gift certificate is the perfect way to introduce your friends to Bremer’s, if they’re not yet customers. Gift certificates can be purchased in any denomination. Or purchase a certificate online, and have it sent directly your recipient. 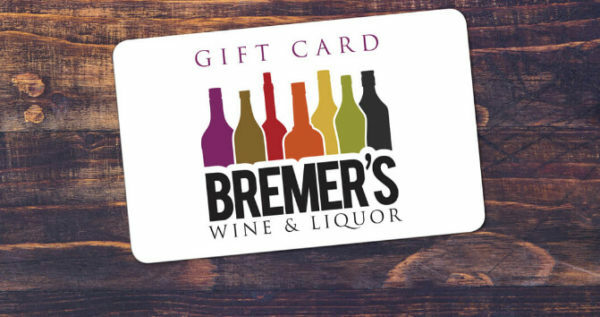 So give the gift that’s always the perfect choice – a gift certificate from Bremer’s Wine & Liquor. Buy a gift certificate online or stop in and pick up yours today!